We are very happy to inform you that Ghostnote (Ver. 19.6) packed with tons of new features and a more robust framework, is finally here. You asked for it, we finally delivered. The ability to view all your notes from one central view. We call it the Ghostnote Browser and it makes managing your notes too much easier. 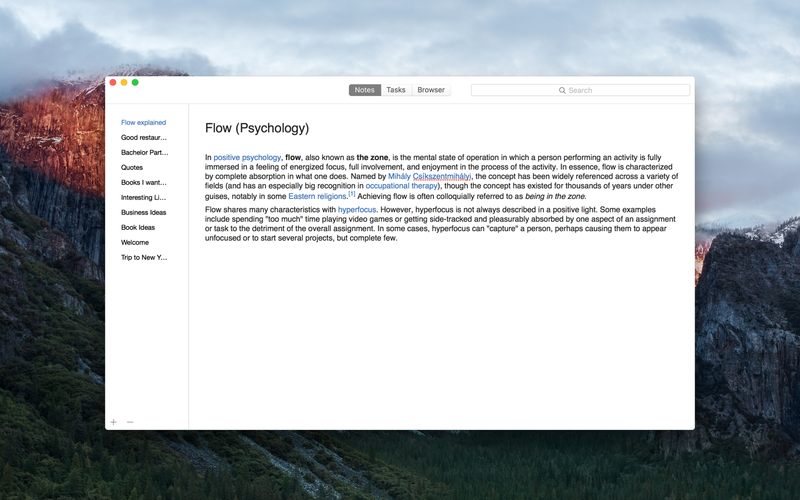 You can browse your notes using the keyboard, search and edit, all from one single view. Contextual notes are great but sometimes you just want to jot down some notes for your free form thinking. So we created a more classic notes taking app as part of Ghostnotes. It works like most other notes apps do. Last but not least of the major new features we created a separate Todo app. It’s very fast to use and everything can be controlled from the keyboard. We are very exited about this app and we expect to do iCloud support and create a web version at some point in the future. Now you can manage, edit and add document detection scripts from one single location. We even threw in an application ID checker to make it easier for you to find the app ID. When using finder you can now see which files or folders are annotated without having to click them first. Lots of new things that will make Ghostnote even more powerful. Important! : The new update only work if are updating from 1.9.5 or 1.9.4. if you are coming from an older version than 1.9.4 write us at support@ghostnoteapp.com and we will help you upgrade properly. If you get asked for your activation number add that, if you are a new user just hit trial. Many of you have asked us about teamnotes, i.e. the ability to share notes with other team members around the same assets. This is something we wanted to do for a while now but there are some obvious technical challenges. However we are going to give it a serious look in two ways. 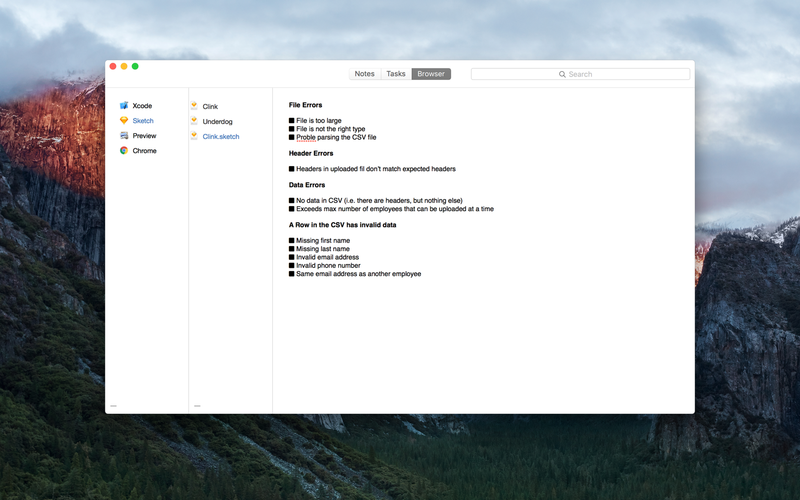 This is basically allowing teams to share notes on files, folders, websites etc. It will require some sort of cloud service (Dropbox, Box, iCloud) and will be mostly centered around the Mac. We are quite far in building a team annotation tool for teams allowing you to select almost any element on a webpage, annotate it and have it shared with the rest of your team. This is going to be useful for editorial teams, Q&A teams for bug-reporting (ex. connected with Github) and students who are studying subjects by reading ex. research papers online. It will also be possible to use it for video annotation. If either of these have your interest please write us at support@ghostnoteapp.com to be signed up as an alpha user or to give us input on what you would like to see in such an app. With some of these new features added we feel we are offering a product with a lot of value. This also means we are going to update the price moving forward to better reflect it’s value. So if you haven’t yet bought Ghostnote, but have been thinking about it, now is a good time to do so. Because we will soon be setting our price point to somewhere around $15-$20USD. Everyone who buys before next upgrade will get it at the current price. If you already bought it you won’t be paying for the new version. We didn’t get around to re-enable Evernote support this time, but will soon. We love Evernote ourselves but have found a number of issues with the API which we think will be much easier do deal with now we build the notes browser. If you have any questions, comments or suggestions. Don’t hesitate to write us at support@ghostnoteapp.com, hit us up on twitter or send us a message on Facebook.